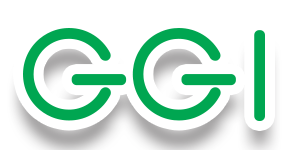 Green Gold Industrial Co., Ltd, established in 1994, is an industry leading medium-scaled wood manufacturer and exporter in Myanmar. We produce a wide range of solid wood products that can be grouped into three categories, flooring, furniture, and door / door frames. All of our products are made from genuine Myanmar hardwoods, extracted from sustainable natural forests. We are very serious about the quality of our wood. Our specialized timber is carefully selected and undergoes a rigorous quality assurance screening before being selected for final processing. GGI’s production facilities occupy more than 6400 square meters of production floor equipped with log cutting, sawmill, band re-saws, timber drying kilns, and other essential machinery & equipment with minimal waste byproduct. Currently, GGI employs more than 250 technically skilled and trained employees, including technicians and engineers working in 2 different production shifts. We currently manufacture and export to more than 12 countries located throughout the world. G- (40), Hnin Si St,Myittar Road, 14-1 Ward , Myinthar , South Okkalapa Township ,YANGON 11091 , MYANMAR . inspiration, delivered right to your email inbox.